If you have wanted to crossover to a conveyor oven, this compact, electric, pizza oven could be just what you need. 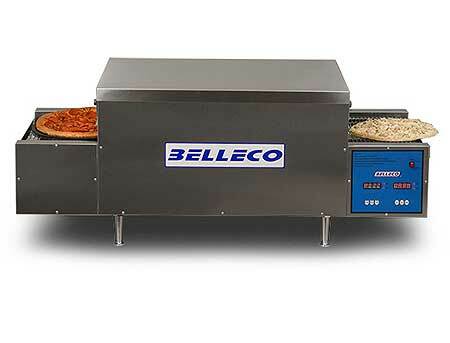 It can produce a fresh baked pizza in as little as 3 or 4 minutes, depending on your product. It has an 18 inch wide belt so it can bake up to 12 large, 16 medium, and possibly fit 2 smalls side by side and bake over 30 per hour. 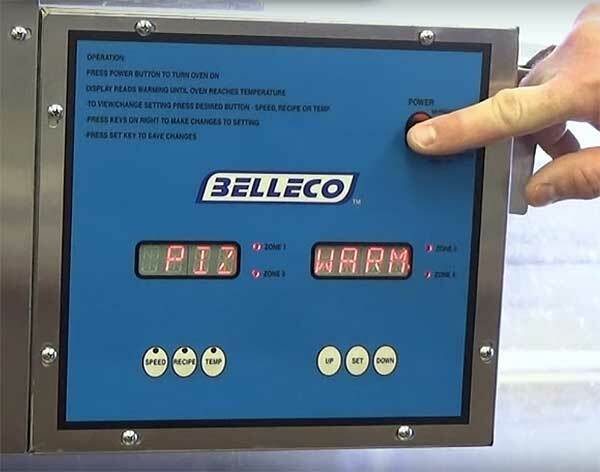 It can go 150 to 550 degrees F, with 4 programmable heat zones so you can adjust heat as the product goes through the oven on the conveyor. For example, for calzones, you can lower the heat in the first half of the cooking tunnel so the inside cooks through before browning the dough. Heat adjustments can be made on the front, rear, top and bottom and programmed for quick menu options. Due to its high speed forced convection heat and quiet operation, this oven has become very popular as a finishing oven for many Mexican restaurants too. The conveyor direction is reversible, and it has digital speed controls so you can control your cook times. Automatic cool-down feature and high temperature limit switch. Stainless steel construction. 4 inch adjustable legs, NSF. Made right here in the USA. Belleco delivers energy efficiency at maximum output with minimum counter-space and energy usage. Technicians support their products 24/7, 365 days a year with an industry best 2-year warranty. Great for Pizza (Fresh, Frozen or Par-Baked Style Dough), Sub-Sandwiches, Meatball Subs, Garlic Bread, Finishing Mexican Dishes, Seafood Broiling (requires sizzle platter).